Holidays in the Dominican Republic bring you the soft white sands and glittering clear waters of the Caribbean Sea. It’s the ideal place for couples wanting to enjoy the ultimate romantic break, whether that’s for an anniversary, honeymoon, or just a special holiday. Families will find amenities as well, with 5-star hotels offering all inclusive deals, which encompass fantastic watersports and activities. 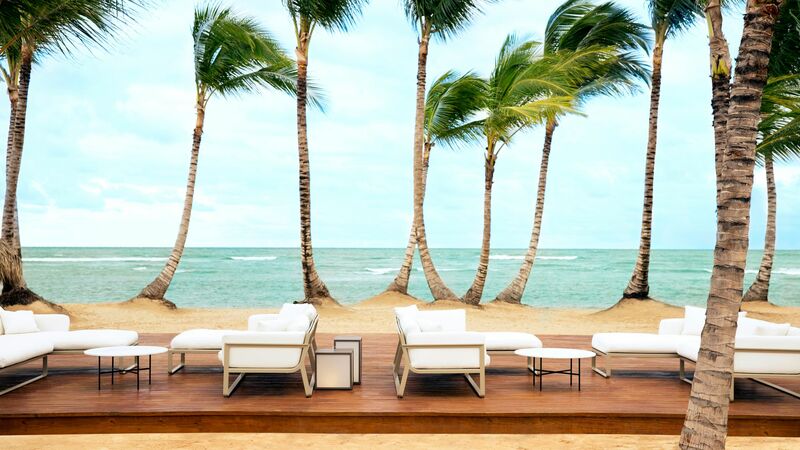 The Dominican Republic’s beaches are picture perfect, while its interiors are ideal for those who want to explore. Here you’ll find luscious rainforests and mountains for hiking, as well as crystal clear waterfalls where you can swim and jump. For some of the best beaches on the island head to Punta Cana, where you’ll also find historical towns, iconic strips of sands backed by coconut trees, luxury hotels, and fresh local produce. Alternatively, Uvero Alto is known for its fresh seafood, tropical rainforests, and pristine beaches. Luxury holidays in the Dominican Republic are all about relaxing. Its beautiful coastline is full of upmarket hotels, bars, and restaurants, as well as the white sands and azure waters the Caribbean is famous for. Book all inclusive holidays and make the most of the fresh local produce, including coconuts and mangoes, as well as spices and succulent seafood options. If you want to explore some of the island’s history, head into Puerto Plata where you can tour rum factories or visit Bayahibe, which is a small fishing village. 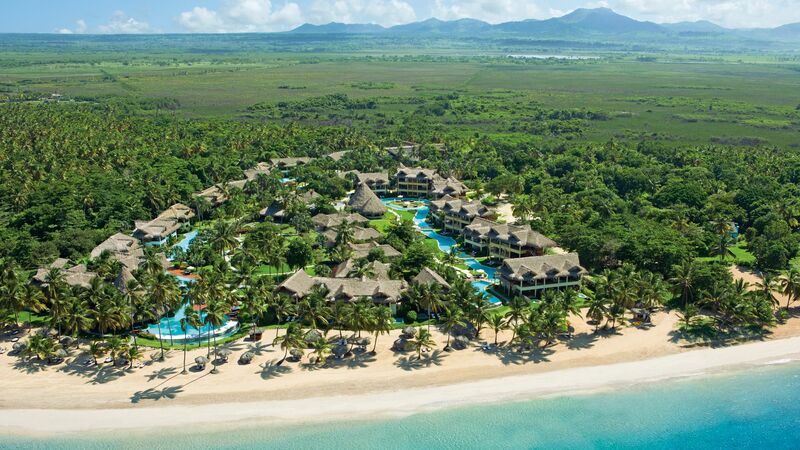 At Sovereign we’ll help you get the most from your luxury holidays in the Dominican Republic. Little details include selected airport lounges and private transfers, while our travel experts have carefully curated a list of the island’s best hotels. Stay at the Zoetry Agua Punta Cana for fantastic amenities, rustic décor, and an island paradise where you can fully immerse yourself in the tranquil atmosphere. 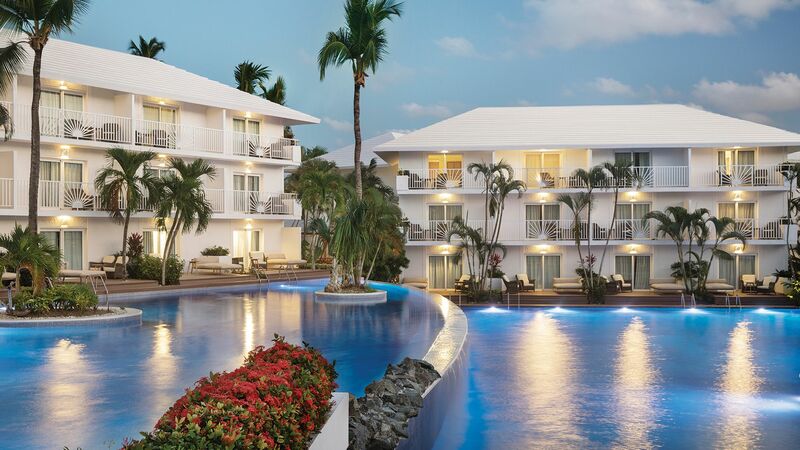 Excellence El Carmen is an adults only property right on the beach, while Excellence Punta Cana has beautifully landscaped gardens and a choice of over 10 restaurants. Beautiful Caribbean beaches coupled with Atlantic surf make the Dominican Republic a great destination for families and more adventurous visitors. Punta Cana settles on the very eastern tip of the Dominican Republic. It’s the poster child for luxury Caribbean holidays – think pale sands, palatial hotels, coconut palms and private marinas. Uvero Alto is the laid-back northern district of Punta Cana. The hotels really spread out up here, so there’s plenty of elbow room for plush beach cabanas and honeymoon-friendly restaurants. You’ll experience the Dominican Republic’s infectiously laid-back Caribbean charm, as well as its European heritage and American influences in capital city Santo Domingo. Head to the Ciudad Colonial (AKA Zona Colonial) to check out colonial architecture. Must-sees like the grand Alcazar de Colon mansion, the National Pantheon of the Dominican Republic and the Cathedral of Santa Maria la Menor all pile in to this UNESCO World Heritage Site. In February, the seafront promenade called the Malecon is filled with music, colour and costumes for Carnival. The Caribbean Sea around the Dominican Republic is teeming with life. Snorkellers and scuba divers glide over coral reefs and shipwrecks that reel in dozens of species of tropical fish, as well as leatherback, loggerhead, hawksbill and green turtles. The endangered West Indian manatee can sometimes be seen grazing on aquatic plants, while the north coast is prime breeding territory for humpback whales. Mid-January to mid-March is the best time for whale-watching; lots of boat trips set off from around Punta Cana. The sunshine and scenery in the Dominican Republic make it a prime spot for a round of golf. Try the Roco Ki course in Punta Cana. Nick Faldo had a hand in its design, so ingenious greens decorate everything from sea-view headlands to tropical mangroves. The Hard Rock Hotel & Casino also has a top course designed by legendary golfer Jack Nicklaus. It’s an 18-hole championship course suitable for every level of experience – whether you’re a seasoned pro or a newbie. Hepatitis A, Polio and Typhoid vaccinations are recommended. Please speak to your GP for more information. Packed with local produce and Spanish, African and Latin American influences, the Dominican Republic loves its comfort food. Rice and beans are national staples, along with plantains, tomatoes, mangoes, passion fruits and papayas. Meals are often flavoured with sofrito, a wet rub of peppers, onions, garlic, oregano, vinegar, tomato and coriander. A must-try dish is la bandera - a hearty dish made with meat, beans, white rice and fried plantain. Chicharrones de pollo is the Dominican Republic’s version of fried chicken. Small pieces of chicken are seasoned with lemon juice and soy sauce, then deep fried. The busy street food scene offers quick eats like plantain fritters, chimichurris (the Dominican hamburger) and empanadas (folded, fried pastries stuffed with savoury fillings). Quench your thirst Dominican-style with an ice-cold local Presidente beer, freshly squeezed orange juice or coconut milk from a beachfront stall. Local rums like Brugal and Bermudez are inexpensive and very good, especially mixed with Coke to make a Cuba Libre. Dominican coffee is excellent, grown in the Cordillera Central mountain range and exported around the world.